It was spring semester of 2016. I was in an undergraduate class picking a paper topic for the semester. I looked at the lengthy list of choices, dreading the long papers and late nights to come, and ended up choosing to write about food deserts. As I began researching the topic, I realized the devastating effects they cause right here in Columbus. As I learned more, my passion for this injustice outgrew the class project, and I began searching for ways I could get involved. A food desert is an area lacking access to the affordable, wholesome foods that are required for a healthy diet such as fruits, vegetables, whole grains, low-fat milk and more. Nearly 29 million people in the United States live in food deserts, and over 16 percent of Ohio residents are food insecure. In fact, Ohio is one of only 12 states above the nation’s 13.7 percent average for food insecurity. In Franklin County, the average is even higher at 17.9 percent. Knowing this information, I knew I had to act. 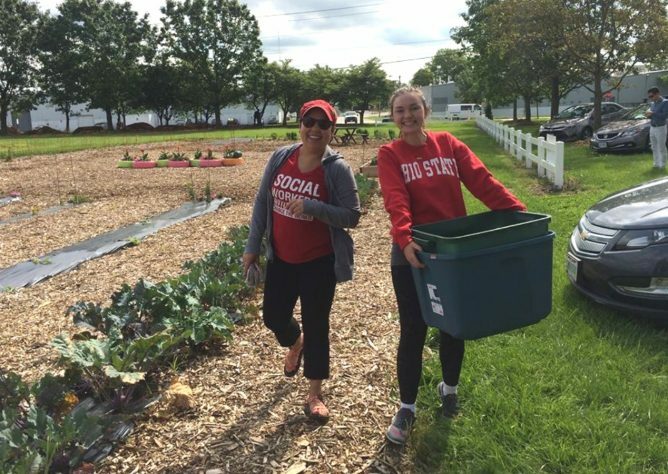 I started looking to local leaders in food security, such as Michelle Kaiser, professor at Ohio State’s College of Social Work, and researched other programs around the country. I eventually found an initiative that filled community refrigerators with leftover food from campus dining halls and my idea for the UNITY Fridge Program was sparked. 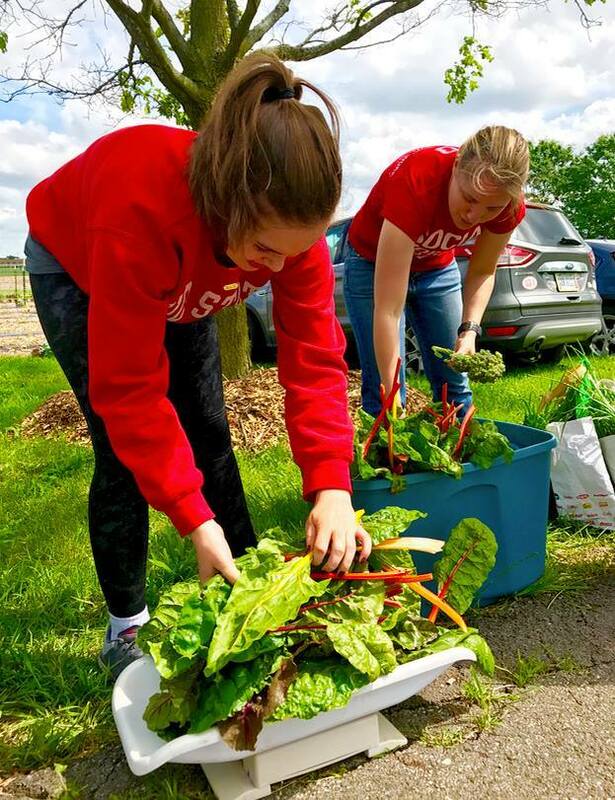 This program would establish a community garden on Ohio State’s campus and grow produce to be donated and accessible to families in food deserts through community refrigerators. While I was researching different programs and developing my idea, an email for the President’s Prize came out, a $100,000 award for students looking to inspire social change. I decided I would apply and see where this journey would take me. After six months of papers, presentations and interviews, President Drake, Dr. Jay and other faculty walked into my lecture hall with balloons and cookies to announce I had won the President’s Prize for my UNITY Fridge idea. That day was equally the most exciting and terrifying day of my life. I was not a gardener. I had never even put a seed in the ground, but I was now responsible for creating a garden and being accountable to the families we set out to serve. The fear really set in the first time I stepped onto my plot at Waterman Farm. The large rectangle of soil was supposed to grow food and I was somehow supposed to make that happen. The first few months were full of learning curves. Luckily, an incredible woman volunteered to be my farm mentor and taught me everything I know about gardening. The first planting day at the plot, many of my fears subsided because of the incredible support that came into my life. The staff at Waterman Farm patiently taught me and supported me. 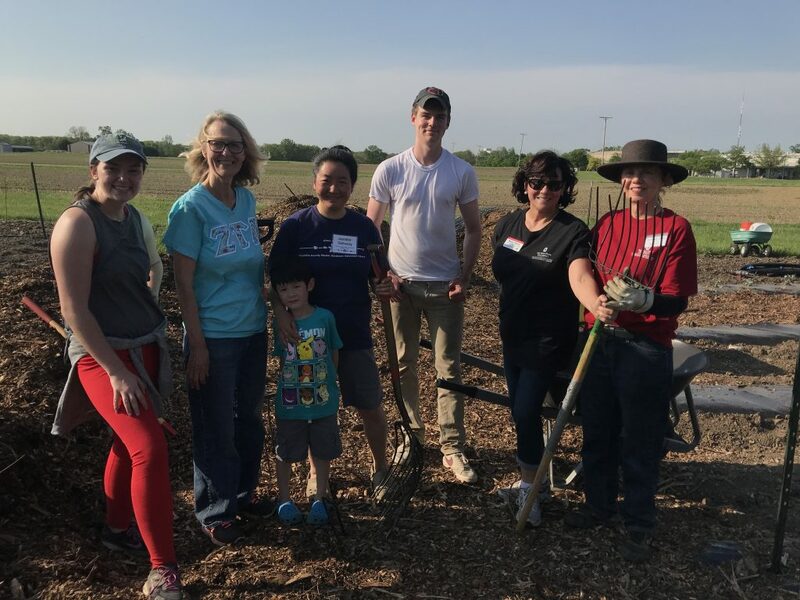 Friends, families and volunteers came to the rescue and turned this research paper into a reality and the pile of dirt into a beautiful, meaningful garden. That’s when I realized building this organization was my passion and purpose. 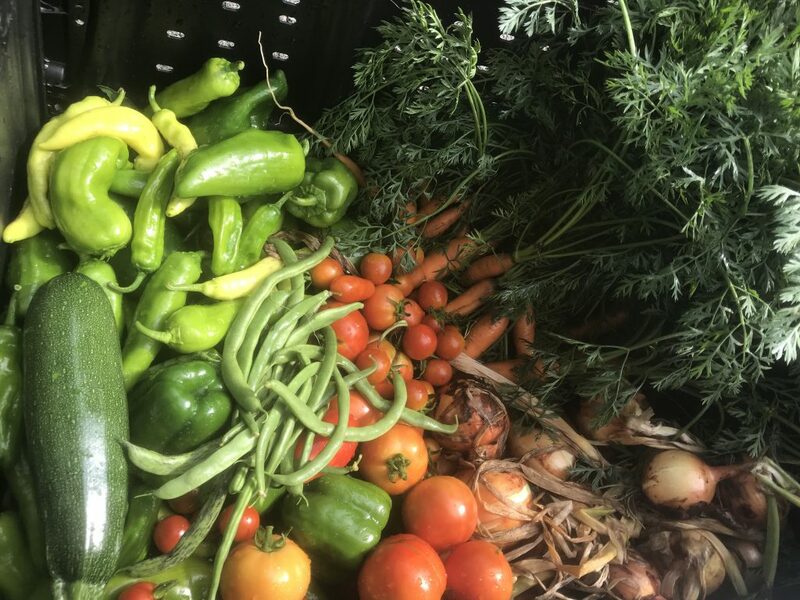 Now, three years later, we’ve created an organization that serves thousands of families in over 33 zip codes throughout Franklin County with a team dedicated to fighting food deserts in the Columbus community. Thinking back, there have been many obstacles and challenging days, but they are greatly outnumbered by the rewarding experiences that have changed my life. Connecting with community members, learning how to harvest fresh produce and seeing people come together for a greater purpose all make the long, hot summer days worthwhile. This project brings me a great sense of joy and, when I think back on the first time I came to Waterman, I realize how much both the program and I have truly grown. Whether working in the garden or delivering food to the community, volunteers are essential for UNITY Fridge’s success. If you’d like to get involved, shoot me an email at griffin.608@buckeyemail.osu.edu.